Novomoskovsk, one of the most beautiful towns of Russia, is situated in the north-eastern part of the Middle-Russian Highland, in 200 km from Moscow, in the source of the Don. The visitors are amazed by verdure abundance in the town, Moskovskaya street with fruit trees and designs of flowers, modern Palace of Culture and Technics, The Children’s Park with water pool, legendary heroes and children’s railway, The Town Park with various attractions and light Birch Grove. 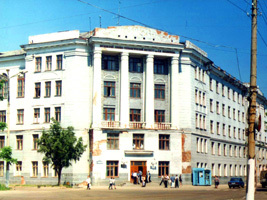 The Novomoskovsk Institute of the Russian-Chemico-Technological University named after D.I.Medeleyev is located in Novomoskovsk. 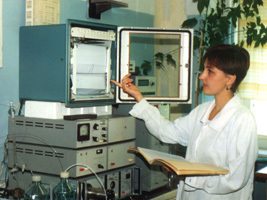 The Novomoskovsk Institute RCnTU named after D.I.Mendeleyev was founded in 1959 and has more than 20-year experience in preparing specialists for foreign countries in branches of chemistry, chemical technology, industrial energetics, etc. The Chemical technology of organic substances. The Chemical technology of inorganic substances. The Technology of Electro-chemical industries. The Chemical technology of high-molecular compositions. The Technology of processing of plastic masses and elastomers. The Chemical technology of refractory non-metallic and silicate materials. The Standardization and Certification in branches. The Industrial heat power engineering. The machines and apparatus of chemical industries and enterprises of constructional materials. The Metrology and metrological supply. The Automatic systems of information processing and management. The Automation of technological processes and industries. After graduation from the Institute the graduates are given the diplomas of Bachelors and engineers (Specialists). One of the Institute work directions is preparatory of foreign pupils for training at the institutes of our country. The hearers of the Preparatory Department get deep, strong knowledges in Russian, mathematics, physics, chemistry and other subjects from experienced teachers. The training is carried out according to the specialities of technical, medical and economic profiles. There are commercial courses of Russian language in summer period (July, August). The programme of short courses proposes the aspect training: grammar, lexical, speech aspects of business Russian, nationally-cultural aspect of training, the etiquette of business contracts. The students and the hearers of the Preparatory Department don’t only get education at the Institute but also make acquaintance with the history and the contemporaneity of Russia. Together with the teachers of the Institute they visit museums of Moscow, Tula and Yasnaya Polyana (the motherland of great Russian writer L.N.Tolstoy), historico-artistic and nature museum – reservation of V.D.Polenov, the historical museum Kulikovo Field. The students can spend their spare time in the country. and how many $ fee per year and how many years i will study phd. I like this University of chemical technology and how can I MSc from this University.